Enjoy Solvang and Santa Ynez Valley while attending the foremost artists exhibition on the Central Coast, the SLOPOKE Art Show. There are hotels and motels for every budget, close to wine tasting, spas, surfing, nature hikes, restaurants and family adventure. 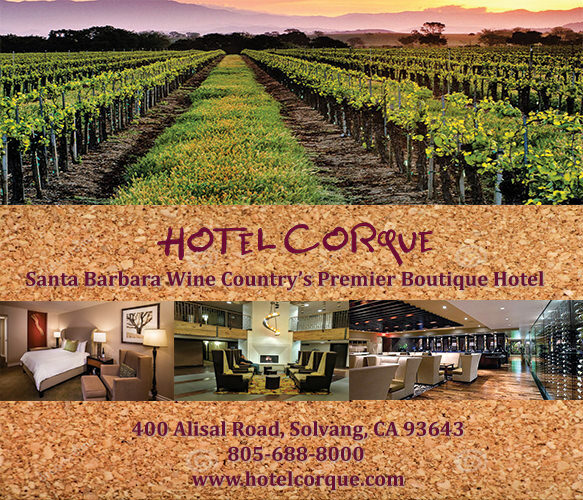 Hotel Corque offers the ultimate in relaxation and comfort, featuring luxurious and spacious guest rooms and decor specially designed to complement Solvang's peaceful surrounding wine country. 15% OFF October room rate for SLOPOKE attendees!